There’s heavy, then there’s ALL CAPS HEAVY, like SUNN O))) cracking a concrete floor, or a Ford F350 towing two more Ford F350s, heavy. Windhand is ALL CAPS HEAVY to the point where another adjective is hardly necessary. It’s so heavy, when one first listens to Soma, the second album by these Virginia heavies, it’s practically unthinkable how such heft was able to be recorded without the bass and guitars blowing out each and every amp in the studio. Unlike those early Sunn O))) records, however, where heavy was an end in of itself, Winhand combines that unbearable sense of burliness with actual songs of doom and grunge as vocalist, Dorothia Cottrell, channels some of metal’s most beloved vocalists. Comparisons to the late, Layne Staley of Alice in Chains are apt, as are those to the prince of darkness, Ozzy Osbourne, himself. It’s not until the fourth song in, an acoustic number titled, “Evergreen,” that it becomes apparent that the owner of those foreboding pipes is indeed a she. That’s heavy. Granted, Soma doesn’t have the crossover appeal of either Black Sabbath or Alice in Chains. Black light posters of Windhand aren’t about to replace the classic Black Sabbath ones in teenage bedrooms and nothing here is going to be placed in a rom-com soundtrack. And yet, in spite of their single-mindedness, or, rather, because of it, Soma is able to conjure up the zen-like state many in the heavy crowd crave. 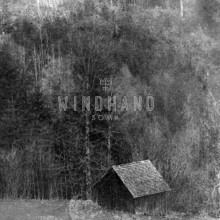 With Windhand in your headphones, there simply isn’t any room for any outside stimulus to matter.